← Lame Adventure 192: Going Back to the Dogs! Milton: A dumb sounding premise, but they pulled it off. It was quite good. I could not get beyond the inanity of the premise and made no effort to see that movie. Terrorist: Name the product in that ad right now or both your heads are gonna paint these walls! Well, our heads would have easily gone the way of a Jackson Pollack drip painting for we would have sooner guessed he was selling bronzer than Dolce & Gabbana men’s fragrance. Calling this product cologne must be too Wal-Mart. For all I know, Milton still has no clue what McConaughey is selling. When I saw this new wider shot version of that ad (pictured below), I immediately emailed it to my pal. Anyone want to speed read The Odyssey with me? In fairness to Milton, he was actually calling in response to another email I had sent him about what time we should meet for dinner. Food motivates him to act almost as quickly as images of Greek God-like guys. While we were on the phone Milton opened my other email and I heard low murmurs of immense approval. Milton: Male perfection but he also looks masculine. Me: That image reminds me of Leslie Howard. He should be lighting two cigarettes and handing one to Bette Davis. Note: It was actor Paul Henreid that lit the two cigarettes and handed one to Davis in Now, Voyager. Milton got my point and rather liked the suggestion. Milton thinks that this McConaughey pose could become an iconic image that stands the test of time. 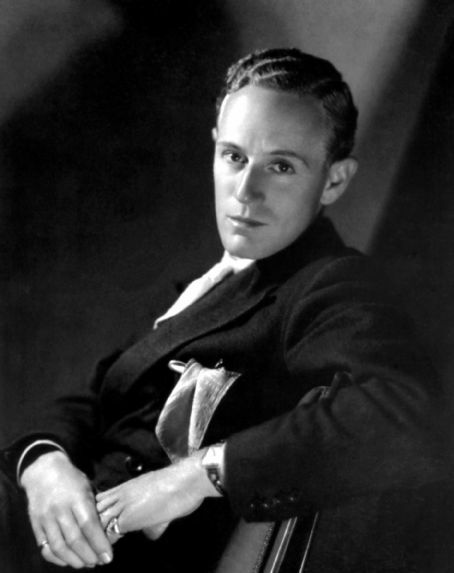 For readers unfamiliar with Leslie Howard, a matinee idol from the Thirties and Forties, judge for yourselves. I wish I knew who took this photograph of Leslie Howard. It brings to mind the great Hollywood portrait photographer, George Hurrell. He was a magician with light. Now, Photoshop can almost make a Hefty trash bag look equal to Joan Crawford at the height of her beauty. Almost. 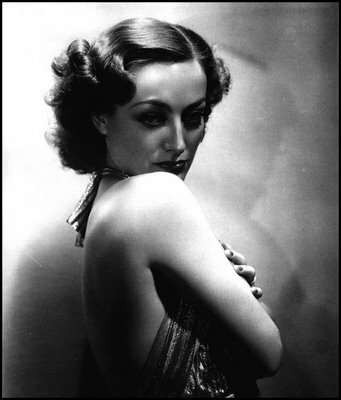 Joan Crawford photographed by George Hurrell. I think I’d rather stare at the McConaughey picture. This entry was posted in Humor and tagged george hurrell, hollywood glamour, joan crawford, leslie howard, matthew mcconaughey, photography. Bookmark the permalink. Where in the Hell did you get a photo of Martini Max cooling out in his buster chair????????? 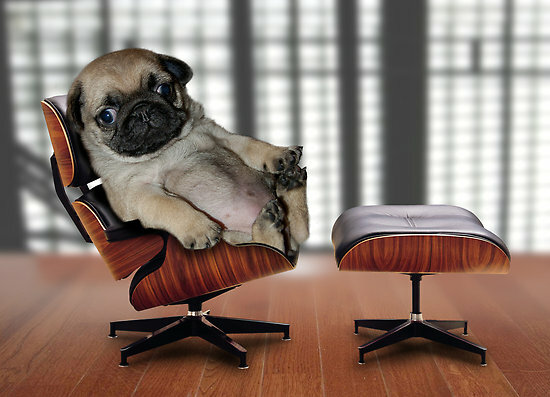 I knew that pug looked familiar. Stick a pair of glasses on him and he’s you, Max!